I believe Tao will be pretty easy to work on since we have a pretty good VS Styled Tao by G-Knux19. Just want to enhance her and test the VSD gameplay system.. This means she is the next Warzard character to be work on! I was wondering SZ. Do you have plans on doing Large type chars? Birdie was awesome as well as Leo. But you have plans for chars like Zangief & Hugo? I know you have Haggar as One of your upcoming works. it´s great......so will be mailing the next? you're making a brilliant work....really ti´s necessary creativity to recreate mega attacks. This is going to be a LOT of work.. But since Endgame is coming, time to bring some Marvel heroes no? Just a small info about Hulk. He's going to be a mix of MvC1(Especifically) and some few elements from MvCI. That means, he have the Avalanche Leap, the Wall Jump move. 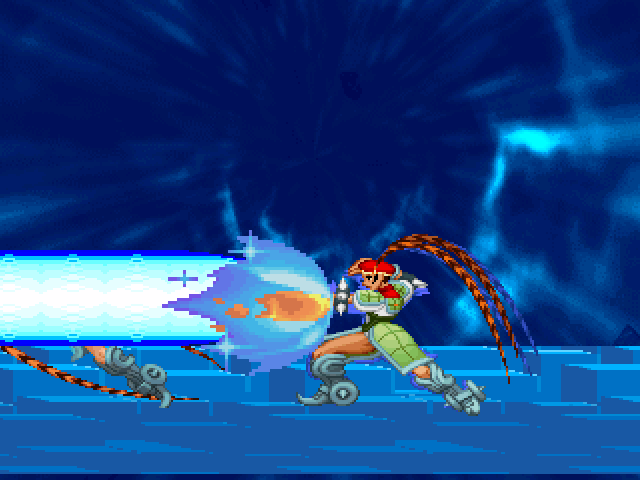 Mech-Gouki will be powerful, but not like a boss character. I want to give him some special treatment, at point of looking like a hidden character from old MvC games instead of being a unselectable boss. Hulk, eh? Didn't see that coming, for real. What other Marvel super heroes or comic are you going to modify? Hopefully Ghost Rider is in the list, because we don't have a good version of him. 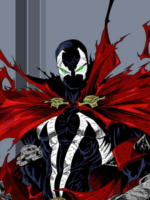 Maybe Spawn as well. 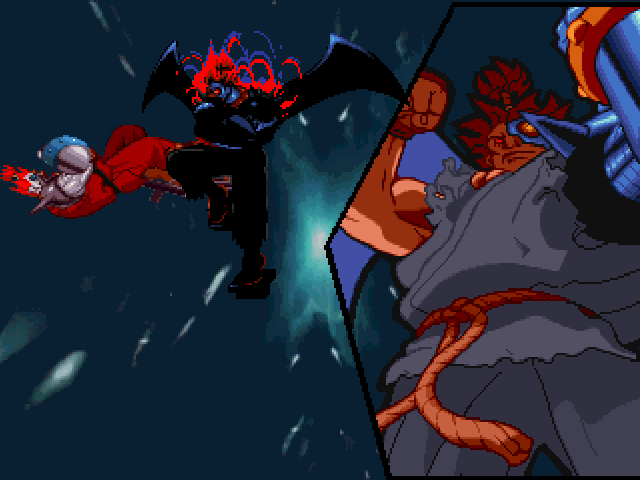 Shoot, I could probably replace all the MvC2 characters I have with your Vs. Style characters. I really need to replace Felicia for example. It's just a suggestion. 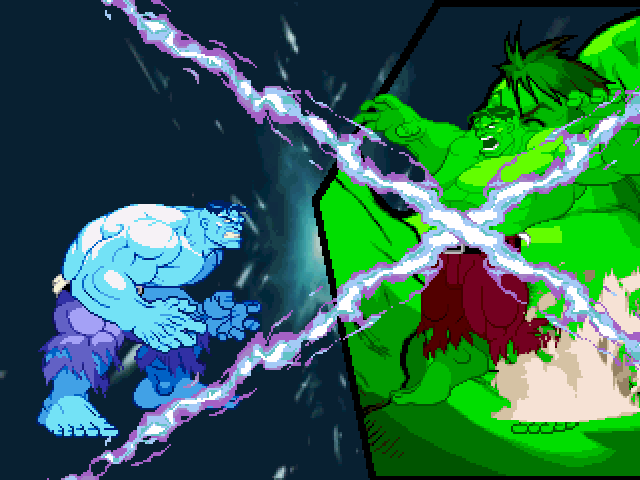 These sprites of the old hulk teacher, kind of passed the expiration date. Please do not be angry. It's just a suggestion. What other Marvel super heroes or comic are you going to modify? Hopefully Ghost Rider is in the list, because we don't have a good version of him. Well. It's the same sprites, only the head is different. Hulk smashes into VS Style Debuts party!